For the average human being, cleanliness is a top priority. Remaining clean and free of dirt or debris in our life is a constant, as we strive to maintain a higher quality of life and a healthier status quo. But for the Rhypophobiac – one suffering from an irrational fear of filth or dirt – this challenge becomes a never-ending battle, as the very thought of coming in contact with anything unsanitary can bring about unspeakable trauma. Imagine then, if you will, the hapless rhypophobiac plunged into the deepest recesses of NETHERWORLD Haunted House’s Raw Meat, a ghastly labyrinth of sewers overrun with the very dregs of the underworld. 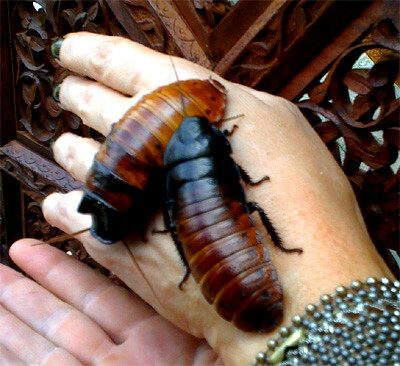 Giant living cockroaches, deadly snakes, monstrous alligators and more inhabit the reeking filth that makes up this nightmare realm of depravity. The bones of surface dwellers lured below for sinister means litter the area, and hideous creatures spawned by a science most foul crave more. Gruesome decay is the very lifeblood of this terrifying journey into the aftermath of years of neglect and industrial mishap.